Coconut oil is the oil that comes from coconuts. 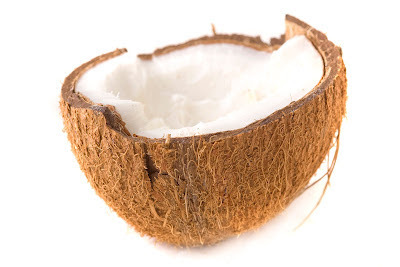 It is extracted from the meat of matured coconuts. Coconut oil has been used for food, medicine, cosmetic and for industrial purposes as well. For some tropical countries, coconut oil is their primary dietary source of fat. It is used in cosmetic products as a skin moisturizer and a soap ingredient. It is also used as a treatment for skin acne. Coconut oil can also be processed into fuel (biodiesel). Coconut oil is believed to carry a lot of health advantages. It has been documented to possess anti-fungal and anti-microbial activity. due to the lauric acid content in the oil. Lauric acid has antiviral, antimicrobial, antiprotozoal and antifungal properties when present in the human body. The team from the Athlone Institute of Technology in Ireland tested the antibacterial action of coconut oil in its natural state and coconut oil that had been treated with enzymes, in a process similar to digestion. The oils were tested against strains of Streptococcus bacteria which are common inhabitants of the mouth. They found that enzyme-modified coconut oil strongly inhibited the growth of most strains of Streptococcus bacteria including Streptococcus mutans – an acid-producing bacterium that is a major cause of tooth decay.